Example image with Overlay caption. This is the default way Easy FancyBox displays images. Other options are Inside and the old Outside. Example of a YouTube movie in overlay. Hi there, I’ve always loved Easy Fancybox, but I just installed it on a website that it didn’t work well on. It put a partial link at the top of the images in the WooCommerce shop on the site, and now they won’t go away, even when I remove the plugin entirely! I just reinstalled it to see if fiddling with the settings might help, but they appear to be “stuck” there. It looks like they’re a remnant of the links (with attribution) I put in the captions of a wordpress gallery included in a new post in the blog, which lead to products in the shop. I really need them to disappear. The one thing that drives me crazy about WordPress is that the images don’t open in a fancybox by default. The theme I’m using on this site includes the code for their galleries, but not for wordpress galleries or single images, which is why I installed it in the first place. I thought the only problem with this arrangement was that the theme galleries open two fancybox images of the same image when it’s clicked, but then I discovered this other issue which my client won’t be happy about at all. Can you please help me? Thank you so much! Quick followup on my request for support. I just checked again on the product pages, and the product image on every page where I see this exposed link code does not open in a fancybox, but those that were not linked from the blog post I mentioned all do open in Fancybox without any trouble. Thanks so much for any assistance you can provide! That’s prettyPhoto light box that came with Woocommerce. Best not to use more than one light box script on a site… To make prettyPhoto work with other image links than only on the product pages, try giving a link a data-rel=”prettyPhoto” and class=”zoom” attributes. I see, I had spaced on the fact that WooCommerce also has this feature. I’ve submitted a ticket with them and hope they can help me work it out. Thanks for the information, Ravan! It really helped me know where to turn for further assistance. Have a lovely day. Hi Lawless, on what kind of hosting platform are you running your website? Is it Windows? Update: the new release 1.5.8.1 should work around the issue no matter what your server OS or PHP version… Could you try to update and let me know? Solved – After updating to version 1.5.8.2 everything works again correctly. Is there a way to display something like “image 1 of 3” in the lightbox when using a group of images with the rel attribute? I’m afraid people won’t know there’s multiple images. Or is there a way to display the left and right arrows without hover so it indicates right away that there are more images. Hi Suzanne, this is not possible without modifying the plugin or light box script. The advanced extension is planned to feature this option but it’s not ready yet. Sorry. Thanks for the plug in, really love it. 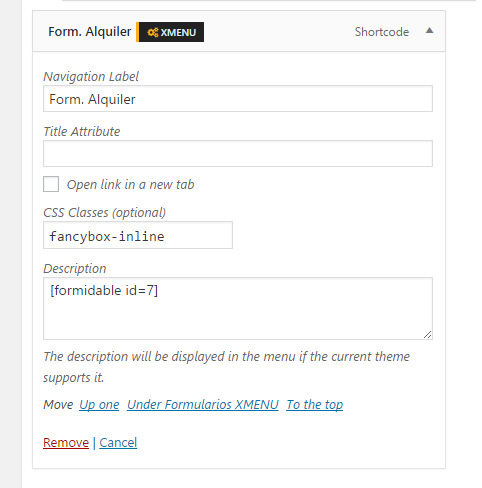 Unfortunately after updating to WordPress 4.7, with Easy FancyBox 1.5.8.2 the title no longer shows in Fancybox. Any suggestions? Hi Nick, this happens because WordPress has changed the image markup. I found https://wordpress.org/plugins/restore-image-title/ to be an excellent solution to the problem. I have 2 what I think are identical but separate WordPress installations. Easy FancyBox installations are identical. Any help is appreciated – great plugin by the way!! Hi Dario, there are some serious script (jQuery) errors going on on that second site. You might want to start debugging by turning off autoptimize…. Wow, thanks very much – this is exactly what solved it for anyone else out there. I’ll leave it this way though, thanks very much once again! Hi Dario, the plugin places indeed a little script in the head section but it’s not “render blocking” in the sense that Google Pagespeed test supposes. It is only loaded there and does not do anything until triggered after page load. The code needs to be ready because in rare cases it needs to be triggered earlier but even then, it does not actually add any significant above-the-fold render time. Sadly, Google Pagespeed test does not know this and simply adds the (rather common) “eliminate render-blocking” should-fix warning. That said, there is new version planned that will add an option to move the code snippet to the footer to get rid of the Pagespeed test warning. While some may need to keep it in the header, for most cases the footer should be fine too. Hello I can you help me with this one. I’ve successfully implemented the contact form on my website with easy fancy box, but the problem is that the message that will say that the contact form has successfully submitted is not showing. Only a red line. Also when you have a blank input and just pressed submit, nothing happens, even the error message of contact form 7 does not show. Can you help me with this? I want to know if this is a css problem or contact form 7 problem. First, test the form without FancyBox. Move the CF7 shortcode outside the hidden div to make it visible on the page and do some test submissions. Does it show any response messages then? If not, then it’s an issue with CF7. On the website I’m working on, when a picture is clicked, it brings it up twice: once in a white border, and once without. Do you know why that would be happening? That normally happens when there is another light box running on the site. Either in your theme or another plugin… Best delete Easy FancyBox an d find a way to make the other light box work for you. RavanH what if i want to show a form on de Fancybox? pls point me in right direction I’m kind of new!!! In this page (scroll to above the comments) under the heading “Frequently Asked Questions” then “Advanced” there are two questions that have example code that you can paste in your WordPress page editor Text tab. The most important one for you is “Can I display a contact form in FancyBox?” Click the link to open the explanation, copy the example to your site and replace the contact form shortcode with the one you are using. Got 1 more simple question for you, I have a shortcode ( [formidable id=5] ) as menu it works fine pointing to that, but me and my creations minds, lol…. it’s there a way that when click on that menu it shows the form on the fancybox? Hi iamartbc, sorry I do not think I understand your question. Do you wish to open the contact from from a menu item? Then just give that menu item a class “fancybox-inline” (there are advaced menu options on the menu edit page) … If you mean something else, can you share a link to an example page maybe? I use formidable forms, witch has shortcode for each form you create; Now someone (client) it’s asking me if there’s a way that Form is’t on the top menu. so I did: http://bestteam.com.do/ (last menu has two forms), but he want’s that form opens with fancybox, thing is I did try to add the class to the menu with just the shortcode and what does is that straight up opens the form and without the fancybox. Note: I use “shortcode in Menu” plugin to add the shortcode to menu. should i change this ? You could install the plugin https://wordpress.org/plugins/show-content-only/ and then edit the top menu links. Change them to Custom URL and use each form page URL with “?content-only=1” appended. Then give the menu items a class “fancybox-iframe”. And enable the iFrame option on Settings > Media. Thanks RavanH, One more thing, do I get more stuff and personal attention with Pro version, cuz I’m thinking of buying it today. Hi Alex, could you share a link to a page where you are trying this Youtube light box? How to turn on swipes on mobile devices in this plugin? Hi, full mobile/touch support should be there in the next release when the FancyBox 3 script will be integrated into the WordPress plugin. https://wordpress.org/support/plugin/easy-fancybox/ plugin works good for me. I want to display image Title and image Description inside popup box. I review all settings. But can’t find solutions for this. After the recent update, the plugin has errored, blocking any back end dashboard access on wordpress. I had to manually disable it within cPanel on my hosting company. hi, u last update ‘easy fance box’ broke wp-login! The plugin was not activated, because it caused a fatal error. To see the images in full size, I put images of 1024 pixels wide. Set the option “Link to: Media file” when inserting the images. I used something like this to open a image in light box. It was working fine until the last update. Please let me know how to make it work again. Hi Craig, you may be suffering from a theme incompatibility that did not occur with the previous version. Can you share a link to your site? Any way to replace that with the default one included with WordPress? Update: could you test the latest Easy FancyBox 1.8.6 release first? Thank you for the reply. The 1.8.6 update fixed the issue. For everyone reading, I am using JQuery 3.3.1.
that’s good news. Thank you for the feedback! Hi, Thanks for a wonderful plug-in. I use it for images and pdf files, and they all work great. I have a question regarding how to get the images in a WP gallery to come up in the same size in a responsive way for mobile devices. I set the Link To in the gallery to Media files, and It’s working great with navigation from one image to the next. However, the images have different sizes, and the light box automatically adjusts depending on the image size. I’d like to have the light box to be of a fixed size independent of the image size. Is this possible, and how? Does its job well, almost too well. I have treid a lot of gallery plugins recently and easy fancybox is incompatible with like leterally every each one of them. Few examples being FooGallery, Modula, Jetpack, Everest, Envira and ofc NEXT. Understand, its not like Easy Fancy Box doesnt work with them, it rather works way too well, forcing the galleries to use fancybox instead of their own build-in ones no matter what. I wouldnt mind even then, but after last update to 1.8.12 background fade stoped working, so the lightbox effect looks realy ugly. Ia still trying to find a workaround. Hi Jarek, we gererally recommend not using two light box scripts on the same site. So if you have a gallery plugin that has it’s own light box, best to remove Easy FancyBox… Or if you really need FancyBox for something else (like a form or video popup) at least disable the Images option in the FancyBox section on Settings > Media… Or if you need it for stand-alone images then remove all image file extensions from the Autodetection field and give individual links the class “fancybox” manually.